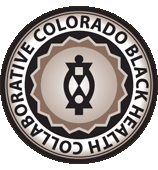 The Colorado Black Health Collaborative would like to help get the word out about the recent measles outbreak. Measles is more than a minor rash or irritant. This is a serious disease and can affect anyone. 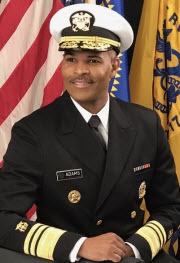 In this article we are sharing the message and a video form Dr. Jerome Adams who is the United States Surgeon General. Be ALERT to the symptoms, signs, and potential complications of measles. Common – ear infection, pneumonia (lung infection), laryngotracheobronchitis (throat and breathing tube infection), and diarrhea. Serious illness- acute brain infection which often results in permanent brain damage, death, and rare disease of the central nervous system called subacute sclerosing panencephalitis that can lead to behavioral, intellectual breakdown, and seizures. Measles is a highly-contagious respiratory disease caused by a virus. It spreads through the air through coughing and sneezing. Measles starts with a fever, runny nose, cough, red eyes, and sore throat, and is followed by a rash that spreads all over the body. Measles is so contagious that if one person has it, 9 out of 10 people around that person will also become infected if they’re not yet vaccinated. You can get measles just by being in a room where a person with measles has been, even up to two hours after that person has left. And what is even more worrisome is that an infected person can spread measles to others even before the infected person develops symptoms—from four days before they develop the measles rash through four days afterwards. The good news is that measles can be prevented with the MMR (measles, mumps, and rubella) vaccine. The MMR vaccine has an excellent safety record and is highly effective. It is one of the most effective vaccines we have in our country. Surgeon General Adams hopes you will share his message with your networks. It’s up to us to protect the health of our communities. 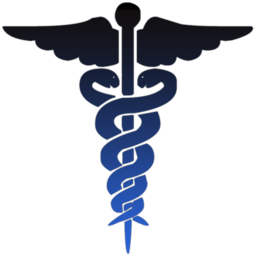 Since February is Black History Month, we would also like to share briefly about the Nation’s Doctor (https://www.surgeongeneral.gov/about/biographies/bio-sg.html). Dr. Jerome Adams received his bachelor’s degrees in biochemistry and psychology from the University of Maryland, a Master of Public Health degree from the University of California at Berkeley, and a medical degree from Indiana University School of Medicine. He later became the Health Commissioner of Indiana, where he led the State’s responses to Ebola, Zika, and to the largest ever HIV outbreak in the United States related to injection drug use. As the Surgeon General, Dr. Adams is a Vice Admiral in the U.S. Public Health Service Commissioned Corps. He oversees the operations of approximately 6,500 uniformed health officers who serve in close to 800 locations around the world, promoting, protecting, and advancing the health and safety the United States. For general questions, CO-HELP is available at 877-462-2911. Clinical information is available at: http://www.cdc.gov/measles/hcp/index.html.